Updated Monday April 1, 2019 by Kanata Baseball Association. 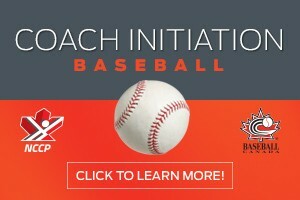 The Rookie and Initiation Programs are Kanata Baseballs' initiative to enhance young players' first experience with the game. Players aged 5 to 9 participate in small-group development activities and purpose-built games with a focus ion fun, friendships, and outdoor play. It is a great age to play baseball, and a rewarding age to be a coach! NO EXPERIENCE IS REQUIRED. We are looking for outgoing, enthusiastic, passionate coaches who would enjoy playing with their children and fostering the love of sport. KBA will provide all necessary training and program materials, including practice guidelines. 2) Submit your Police Record Check (PRC). See this link for more information on how to start the process. Complete the registration form. If you already have an NCCP Number from another sport, enter it here. For "Local Association" enter "Kanata Baseball Association". Use the NCCP Access ID you were provided by the convener. Take the course! You will be completing a 2-part Initiation Module, earning "Coach Initiation in Sport" and "Coach Initiation in Baseball"
After the course is completed, you will be assigned an NCCP Number (it may not be available until next business day). Send the NCCP Number to your convener at rookie@kllba.ca, who will update your LeagueToolbox profile. ​4) Attend the Rookie Coaching Clinic, typically held in mid-April in Kanata. This clinic provides you with hands-on experience on how to teach young players the 5 FUNdamentals of baseball. Each participant also comes away with a valuable Coaching Manual from Baseball Canada which outlines 100s of drills and activities you can use during your practices.